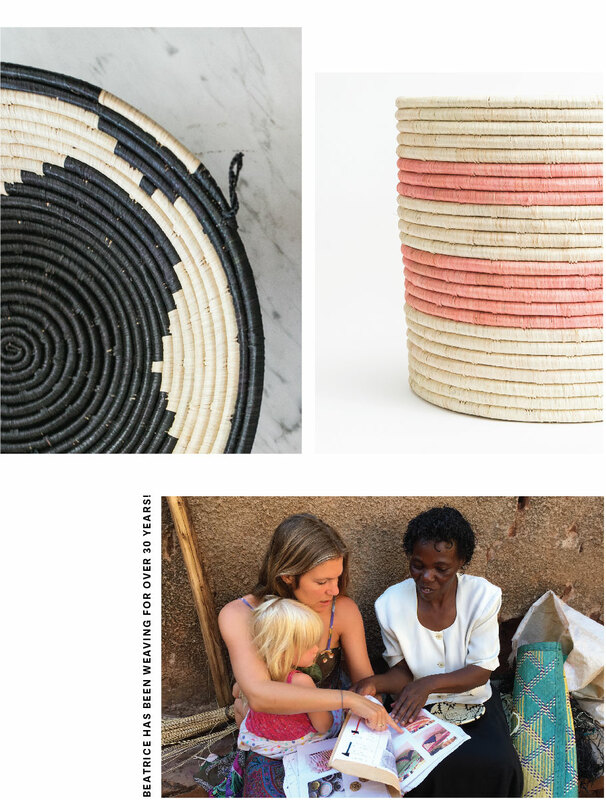 Beatrice weaves baskets from raffia and banana leaf sourced in local markets in Kampala, Uganda. This type of basket weaving is native to Western and Central Uganda. Beatrice is a determined and hardworking basket weaver. Her style of weaving is native to Western and Central Uganda. Her mother taught her to weave when she was young and she began selling her work at 17 years old. She’s now been weaving for over 30 years! She uses raffia and banana leaf that she sources in the local markets in Kampala and Masaka. She is part of a national association of women who all practice the art of weaving. 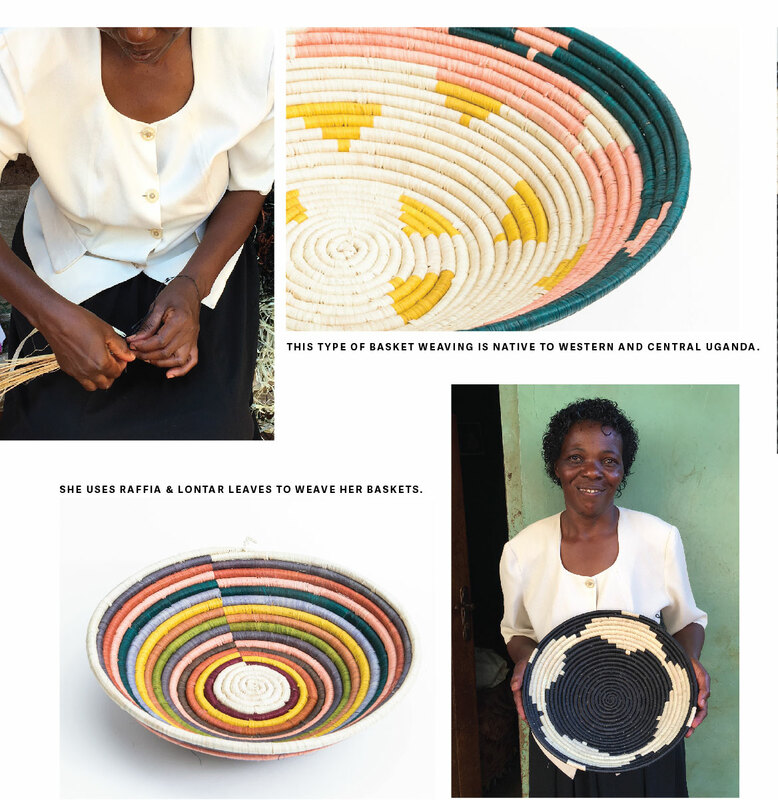 This allows her to learn new patterns, sell her work, and also get to know a community of female basket weavers. Weaving baskets allows her to take care of her child, as well as two other children. She is saving money to build a home and to continue sending the three children to school.